Every arm is shown as having cycleways extending along them and the south-eastern one along Hardwick Road stops at the cemetery. In reality, there are no cycleways along the two northern arms (London Road and Vancouver Avenue). The Hardwick Road one continues all the way out. Sadly, the map is a work of fiction. Almost all of the cycleways shown have been planned at some point, but many of them have never been built. Some like the ones linked to Harding's Way were cut due to budget overruns, as discussed previously. A few, such as Marsh Lane, were planned to be speed limits, cycle lanes or access restrictions (no through motor vehicles or similar) rather than cycleways but still even that didn't happen. We don't really know what happened to some of the others. 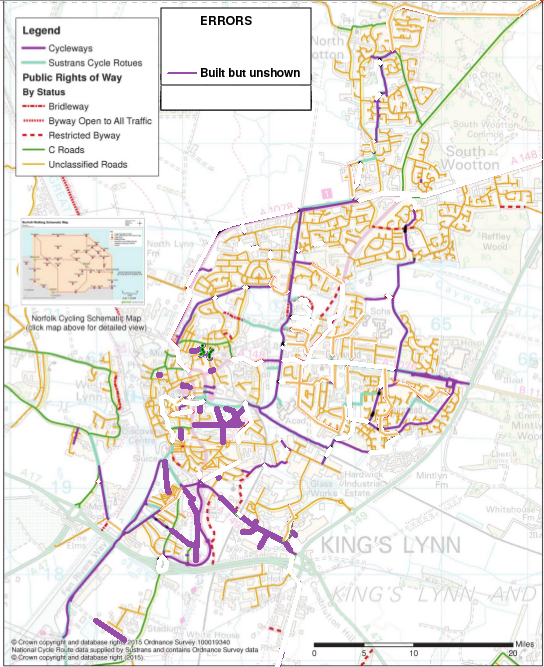 How the heck can the county council make good decisions about cycling infrastructure in King's Lynn if it doesn't even know what it's got? 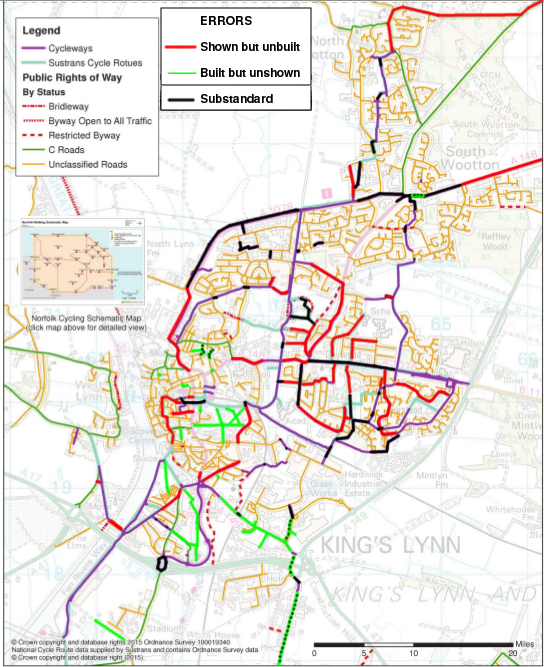 Why did our county councillors approve such a wildly incorrect map? Do none of them know King's Lynn? 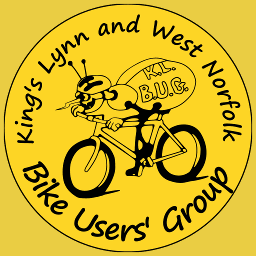 If they don't know about cycling in King's Lynn, why didn't they listen to us who actually cycle here? 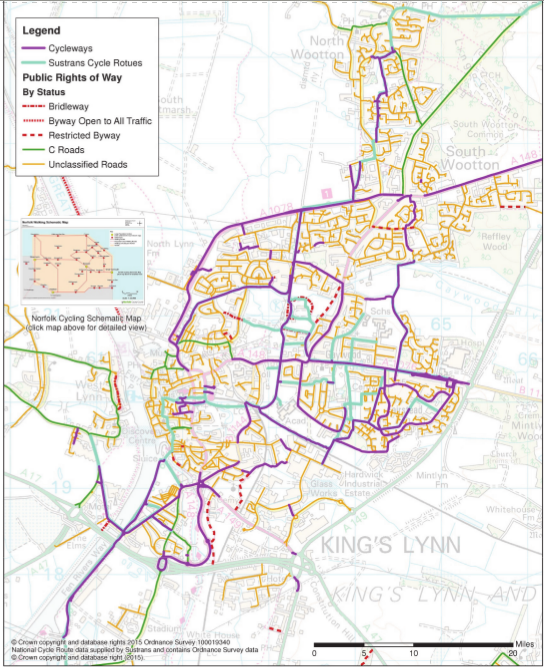 Why didn't the council react during the CWAP consultation when we wrote "The King's Lynn cycle network map shows many routes which do not exist"? ← Harding's Way D-Day: All you free this Friday morning?